AS THE WEATHER COOLS DOWN, WARM UP WITH AN OUTDOOR FIRE PRODUCT! Greetings everyone! We hope this newsletter finds you having a great start to the autumn season. In many parts of the country, this change in temperature signals the end of outdoor activities and hibernation until spring. Not in sunny Los Angeles! The 60 degree October evenings make for a perfect excuse to cozy up to an outdoor heater or firepit. 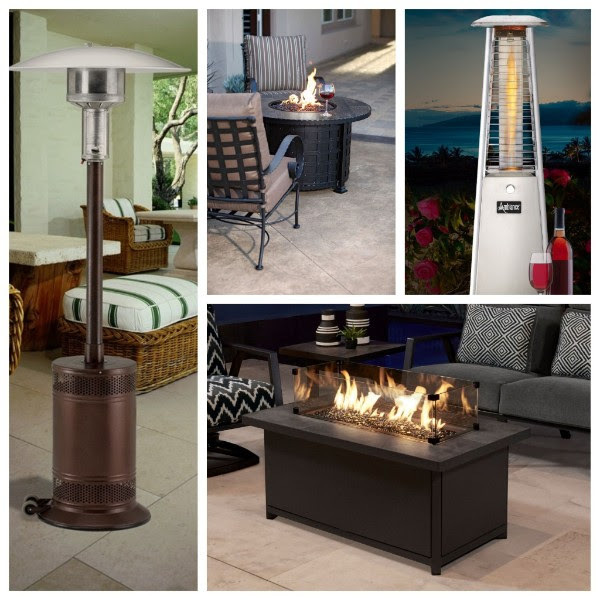 We carry several lines of firepits, heaters, outdoor fireplaces, and fire accessories in-stock to outfit your home and patio. From local manufacturers such as O.W. Lee (Ontario), AEI, and Tropitone (Irvine), to large national brands like Agio, we can help meet all of your needs! We just stocked the floor with a new batch of Liora Manné Holiday-themed area rugs, door mats, and throw pillows. They are great! Thanks for reading this newsletter! We are still marking down our in-stock merchandise on a regular basis so feel free to visit or contact us any time. We look forward to seeing you soon and we hope you enjoy this wonderful start to fall.